An individual holds up a craft beer at the 4th Annual River Valley Craft Beer Festival. Individuals interact at the 4th Annual River Valley Craft Beer Festival. 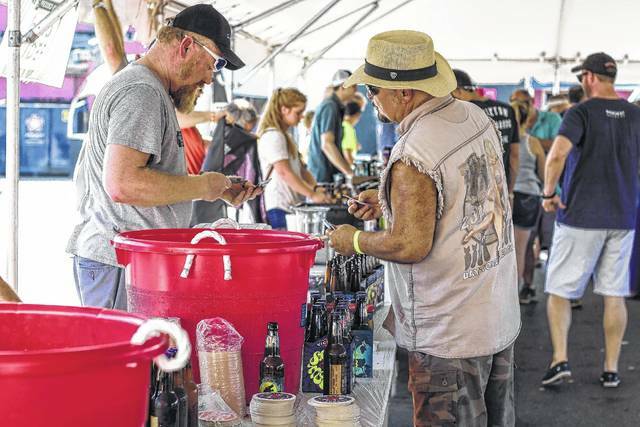 Excitement and live music filled the air as hundreds of people gathered outside of The Party Connection this past Saturday for the 4th annual River Valley Craft Beer Festival in Portsmouth Ohio. The much anticipated event was put on by the Riverdays committee and consisted of more than 25 different breweries and over 100 craft beers to choose from. Stan Tackett and Kelli Richardson are on the Riverdays board, and helped in organizing the festival. Record numbers of Portsmouth residents participated in the event. The sponsors of the event were The Scioto Ribber, Papa Johns, Party Connection, and Elevator Brewing Company. This highlight of Portsmouth was enjoyed by many people in the town, and there is hope that events like this will continue to breathe life into the area. Kirk Donges is one resident that appreciated the work that people are putting into revitalizing Portsmouth. 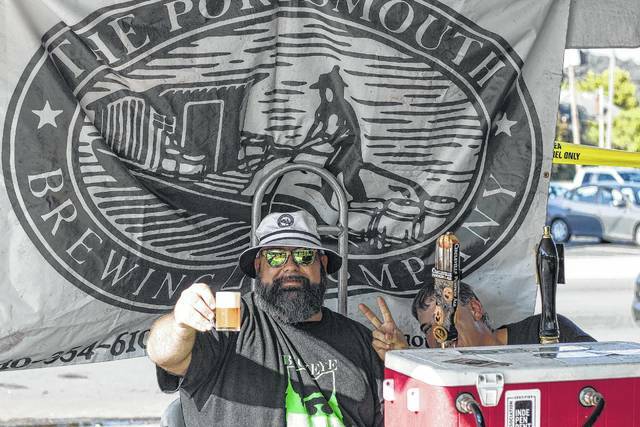 Small town pride was booming as local businesses 3rd and Court, as well as The Portsmouth Brewing Company were representing Portsmouth. Apparel based on the town’s history could be bought, and beer brewed in the Boneyfiddle district could be sampled. Luke Zaph, salesman at the Portsmouth Brewing company spent the day promoting some of Portsmouth’s finest beer. Live music was provided by Frank Grasso and Devil’s Creek Special. Nick Carr, vocalist and guitarist for Devil’s Creek Special had a good time with the crowd at the event. All in all, the event was a success. Make sure to check out Portsmouth River Day’s Facebook page to stay updated on upcoming events, and preorder tickets for next year as soon as they are available.